Let us tell you a thing about us. We love our sleep. And we love to sleep in as long as possible. But there are some things that are worth getting up in the middle of the night - that is 4 in the morning. 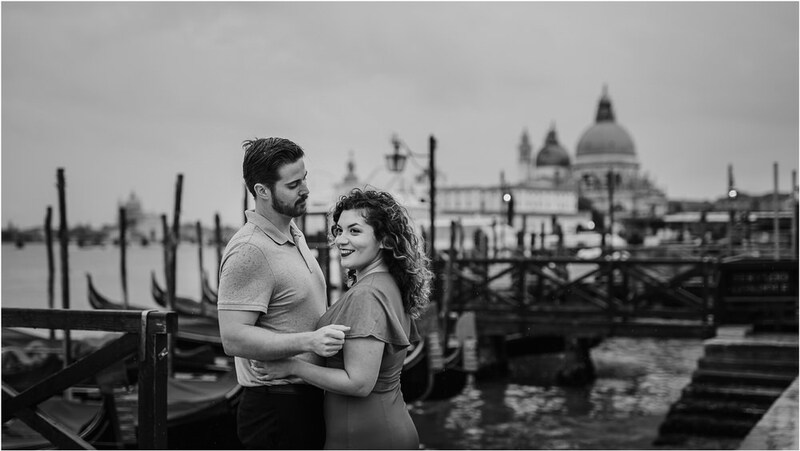 Ivonne and Alden, two amazing Texans, take an anniversary trip each year to celebrate their marriage and this year they chose Italy. It's a special honour when fellow photographers choose us to document a piece of their story. We’re so happy we got to be their Venice photographers. We were planning on a golden sunrise session, but the weather had other plans. Instead we got cold winds and rain. But we wouldn’t change a thing! The rain made the colours moodier and softer, the sea wilder, the hugs tighter and the kisses longer. And the best thing about getting up so early? Having Venice all to ourselves. What a privilege to see the greatness of San Marco Square without the crowds, the Rialto Bridge without thousands of phones and selfie-sticks and the gondolas parked for their night sleep.